P105 receives a fresh pair of shiny new hulls. 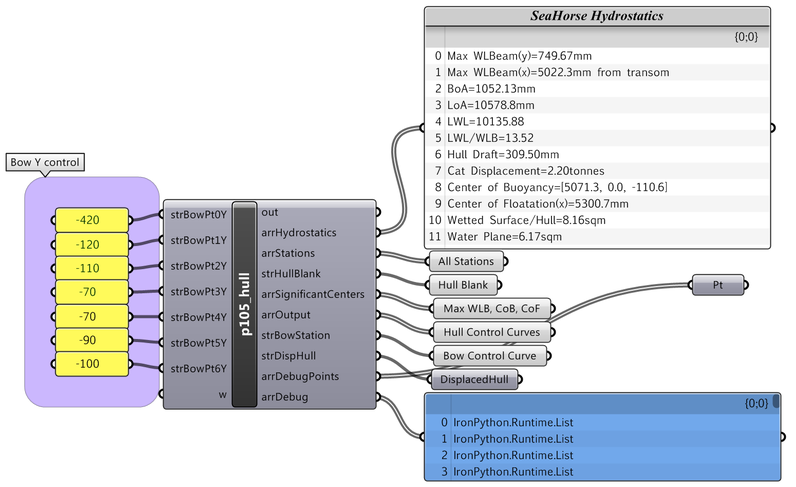 The entire model is a Rhino.Python script allowing quick changes to be made with instant visual and analytical feedback. Although this is not the final iteration, further shape development will be driven by drag reduction and upper structure practicality. Model development will continue by adding weight and cost estimation to each component and surface patch. 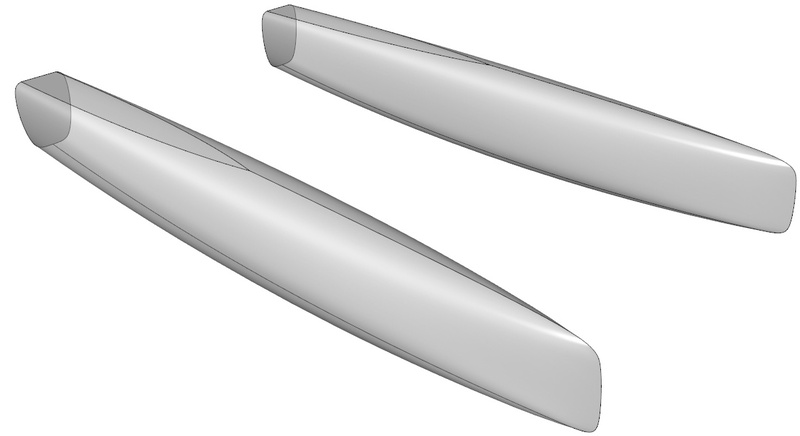 In parallel, design on the central pod will start as well.